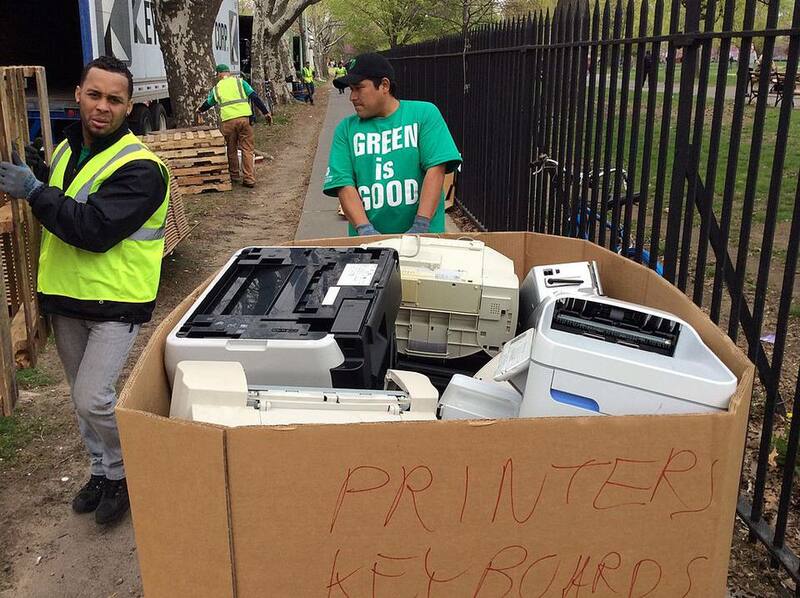 Green-minded Brooklyn residents prefer to recycle their old laptops, printers, phones, and other electronic devices. There are a few appealing and environmentally-friendly alternatives to sending outdated or broken electronics to the landfill. With technology evolving so rapidly, where can a Brooklyn resident dispose of or donate obsolete electronics such as computers, printers, and mobile phones? New York City's Official Recycling Website offers useful information and tips. Green in BKLYN Blog: To find community recycling events, check this site. You can also type in "recycle e-waste" or, for old mobile telephones, type "recycle cell phone" for updated information on where and when to recycle specific kinds of electronic products. Stuff Exchange is an online database for “gently used” goods. It is run by New York City’s Department of Sanitation. Use the Stuff Exchange database categorized by type of product, such as electronics furniture or books. It can be used to locate community vendors who accept donations of all kinds of items, including electronics. Note, however, that Stuff Exchange is not a pick-up service, and they don’t buy used products. Neighborhood Non-profits: The operative word is “usable.” The local nursery school, faith organization, or non-profit might be delighted with the donation. However, if it’s seriously out of date, your old phone, printer, or computer might be more bother than it's worth to a local non-profit entity. Salvation Army stores in Brooklyn, of which there are seven, accept working electronics. Donors can receive a tax deduction. Cell Phones: New York State law requires that all cell phone service providers accept cell phones for reuse or recycling. The Mac Support Store at 168 Seventh Street in Park Slope (718-312-8341) accepts e-waste (that is, electronic waste). Note that they do not accept standard kitchen appliances such as microwaves or blenders—only such electronics as computers, TVs, and stereos. Brooklyn neighborhoods have occasional community collections of electronic waste. To find one, keep an eye on local blogs, newspapers, and community bulletin boards. Or, contact the Ecology Center in Manhattan to inquire about their local e-waste collection days in Brooklyn. Since April 2011, New York State law requires electronics companies to have take-back programs for recycled electronics, in compliance with the New York State Electronic Equipment Recycling and Reuse Act. Since 2015, it is illegal to throw away televisions, radios, computers, and cell phones (including any rechargeable batteries that are in these items). Do not put them out with the regular trash.